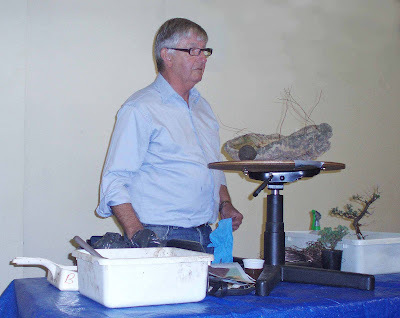 Richard began his demonstration with a discussion on rock planting and a description of the materials he intended to use. 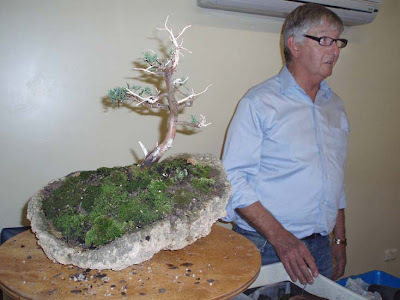 His creation included a Chinese Juniper planted on a dished slab of sandstone. The juniper was pruned and wired to create the illusion of a tree growing in a windswept coastal position. 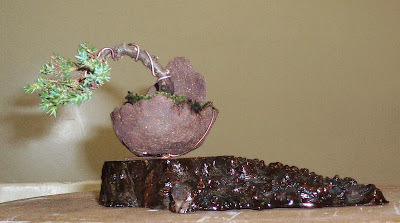 Richard also created a mini to show us how easy it can be to transform a piece of nursery stock to a very beautiful tree in about 15 minutes. A very keen audience looked on and thoroughly enjoyed the night. 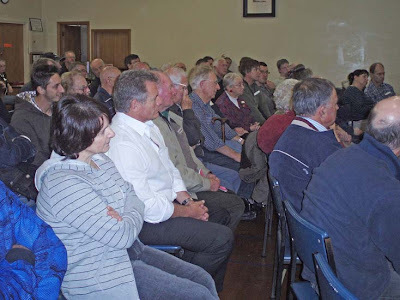 Monday nights workshop was well attended considering the cold wet weather. 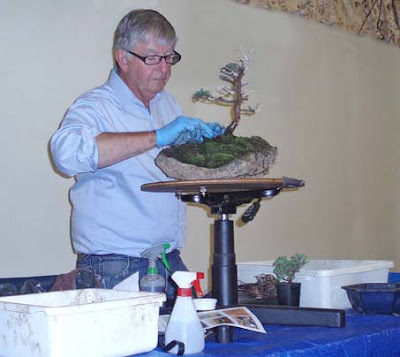 There was a great range of trees worked on, and the display table was excellent. As usual there were plenty of willing helpers to ensure a successful night.